Skincare is a lifelong journey. Everyone has their own story, perhaps acne during puberty, maybe chronic eczema, dermatitis, rosacea, or a slew of other potential issues. For me, it started as a mild case of hyperpigmentation, and turned into an embarrassing combination of chemical burns, inflammation, and cystic acne. Read on to learn how I turned this skin catastrophe into a victory. I have always loved being outdoors. I’ve played soccer in the California sun nearly daily my whole life, I’ve always loved skiing in the brightest conditions, and I was always laying out catching rays whenever I could, forever fond of my freckled complexion. Yes, I know I should have been more diligent about wearing a hat and putting sunscreen on my face, but I didn’t get really serious about that until my mid-twenties. When I was turning 28, my “freckles” were starting to look more like blotchy patches, instead of a cute sprinkling across my nose. I finally decided to see a dermatologist about my hyperpigmentation. It wasn’t a serious issue, but I thought a doctor might be able to help me out before it got any worse. I found a doctor in my network, and she was lovely. Incredibly kind, bubbly, and personable. She immediately put me on a system specifically for hyperpigmentation. I tried it for 3 weeks, then returned to her, complaining that my skin was “kind of freaking out” (red, peeling, overall unhappy). She gave me the ol’ “It’s gonna get worse before it gets better” speech. Well, it got worse… much worse. I went to see her every three weeks, and after several visits, she decided it wasn’t the correct regimen for me, and switched me to several samples of other products. I returned every three weeks, she would throw more sample products at me, different regimens, but nothing was working. My skin was getting worse and worse. I was breaking out with massive cystic acne, my skin was inflamed, red, and peeling. It was humiliating. Each time I would go into see the doctor, she would say things like “Don’t worry, you’re still pretty.” Gee, thanks. I spend a lot of time in gyms working with my clients. These gyms were covered in mirrors, so I could not escape my reflection. It’s interesting what happens to your confidence when your face is tarnished. It made me want to cover myself, hide my face with my hair, crouching to make myself less visible (I am 5’11”, so I’m pretty hard to miss). I have never been one to wear a lot of makeup, but now I was slathering on foundation and concealer to mask my blemishes. Here I was, a health and wellness coach, and I looked like I had no idea what to do for myself! I remember looking at myself in the mirror, and telling myself “One day, this will all be over, and somebody will compliment my skin.” I didn’t know when or how, but I knew this would pass, and my skin would heal. Finally, I’d had enough. It was apparent that whatever these chemical formulas were, they were not helping me at all. I went to visit my parents in Oakland, and made an appointment with a woman who is a chemical engineer who opened an all-green spa. She took one look at my skin under a magnifying glass, sucked her teeth, and exclaimed “You have chemical burns all over your face! I don’t know if I can fix it, but I can try.” From that moment on, I heeded her every word. I stopped everything, including wearing the pore-clogging makeup during the day. She told to start putting aloe vera masks on every night (I was growing aloe plants at my apartment, so it was easy to do!). The aloe immediately started taking the inflammation out of my skin. I started using simple, natural cleansers and moisturizers by Farmaesthetic. Slowly, but surely, my skin started to calm down. The redness started to fade, the acne started to heal, and my face started to shine through again. Over time, I’ve realized just how sensitive my skin really is, in regards to both makeup and skincare products. Now, I use all-natural, high-quality products, and I have learned to tune into what my skin likes, and what makes it irritated. Topically: You don’t have to spend a lot of money to have flawless skin! Keep it natural. Aloe Vera: Using aloe vera as a mask helps to hydrate the skin and take out inflammation. 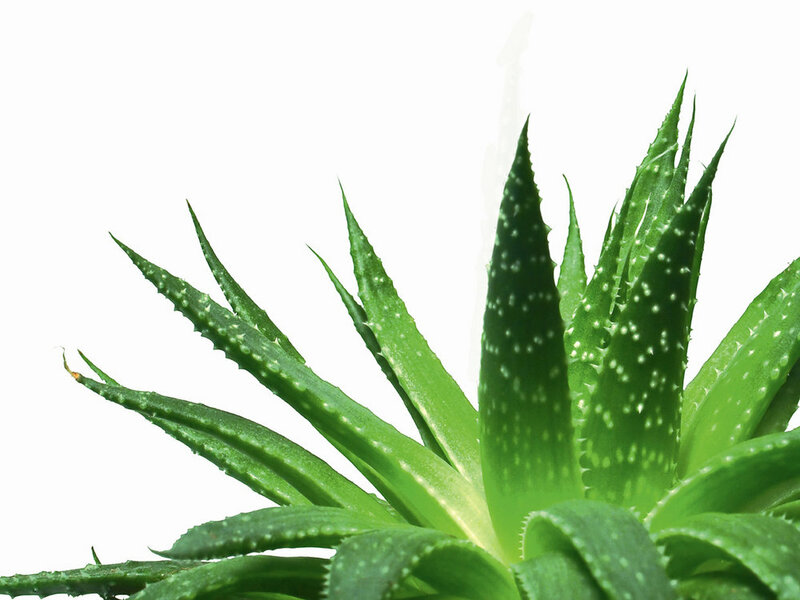 Take an aloe spear, cut it open lengthwise, and apply gooey inside directly to your skin. Let it dry, then wash it off. Apple Cider Vinegar: Using a dilution of apple cider vinegar and water (start with 1 part ACV to 4 parts water, then adjust as necessary), is a great toner and exfoliator. Apply with a cotton ball, let it dry, then wash it off and moisturize. Apricot Oil: I use apricot oil to moisturize my skin and hair. It’s also a safe eye makeup remover. Apricot oil is rich in essential fatty acids and has restorative properties to help soothe dry skin and hair. It is extremely gentle, and absorbs well, so it doesn’t feel greasy. I mix this with my Farmaesthetic moisturizer for extra dewy, hydrated skin. 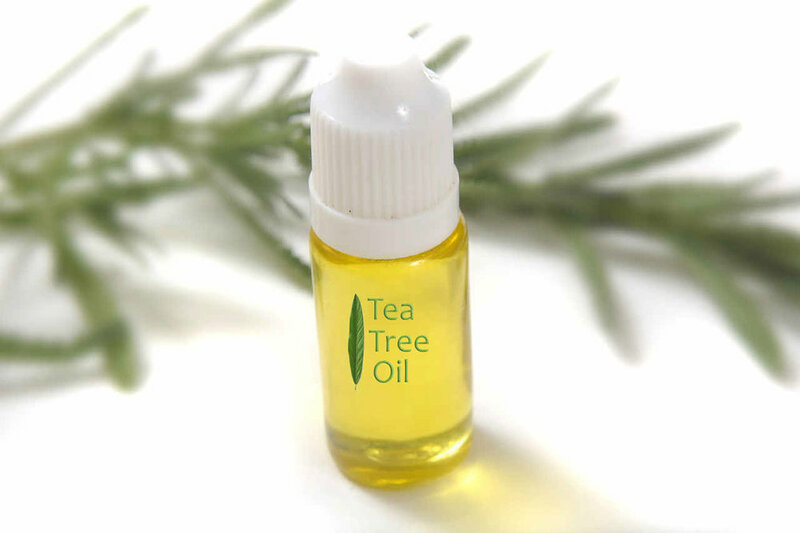 Tea Tree Oil: Tea Tree oil is an excellent anesthetic. It is VERY powerful, so a little goes a long way. I add a few drops of tea tree to my small bottle of apricot oil (NOT a few drops per dose, but per bottle). If I have any blemishes, I apply a very small amount directly to the pimple, and it will typically be resolved overnight. Internally: Eat the rainbow! Keep it colorful, and keep it clean. Sweet Potatoes/ Yams: Sweet potatoes are loaded with Vitamin A, which is excellent for your skin. They also have the most nutrients per volume of any food. When I eat sweet potatoes for a few days in a row, I immediately start getting compliments on my skin! Roasted, steamed, mashed, or shredded, they are a magic bullet to glowing skin. And, they’re delicious! Dark, Leafy Greens: I must have my greens! I add spinach, kale, arugula, or bok choy to nearly everything and anything I’m eating. They’re great for reducing inflammation in your skin and throughout your whole body. They’re too easy, affordable, and healthy to skip. I promise, you won’t even notice the spinach in your smoothie (besides that beautiful vibrant color)! Green Tea: Green tea is the most powerful antioxidant you can find. It is an excellent alternative to coffee (especially in the afternoon), reduces inflammation, and renews your skin and all your cells from the inside, out. Makeup: Pay attention! Your skin will show you what it likes and doesn’t like. Exercise: Sweating is a great way to eliminate toxins from your body. Make sure you remove foundation and powder before exercising, so that your pores don’t clog. I always rinse my face off after a workout, before I leave the gym, so my sweat isn’t creating bacteria on my face before I have a chance to shower. Also, be sure to HYDRATE! Your skin LOVES water. Products: Everyone’s skin is different. Some of us are more sensitive than others to chemicals. Try to sample makeup before committing to a whole bottle. If you’re extra sensitive, ask for brands that are “clean”. For more details, check out my sister’s Hitting Pan Podcast, episode 4.